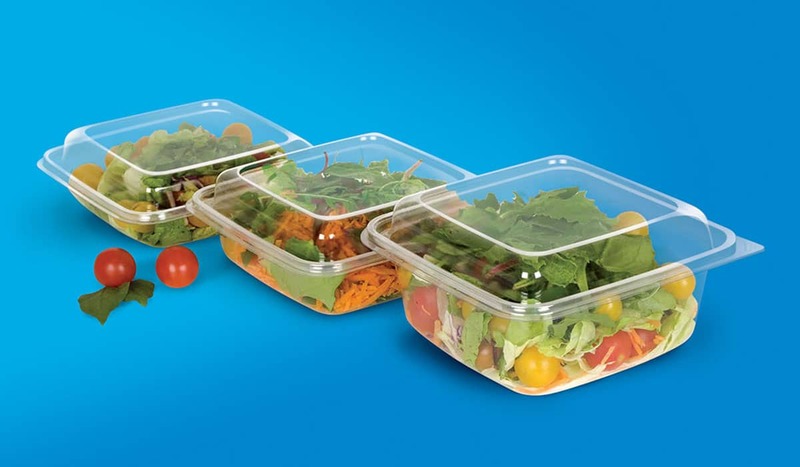 High quality clear PET rounded walls square salad bowls With dome or flat lids. Smooth plain walls. Without any strengthen ribs. Leak proof. Available in 5 different depths. An inside insert tray With 2, 3 or 4 compartments for cutlery and additives is available for these bowls.